Gowan Creek is the home of our winery and offers a perfect mid-valley winegrowing location that combines warmer Anderson Valley elements with coastal fog and cooling influences from the northern end of the valley. This unique terroir consistently produces grapes with a certain wildness and intensity—compelling characteristics that are clearly on display in 2008. The aromatics offer layers of mulberry, fig, strawberry pie, toasted oak and spice. 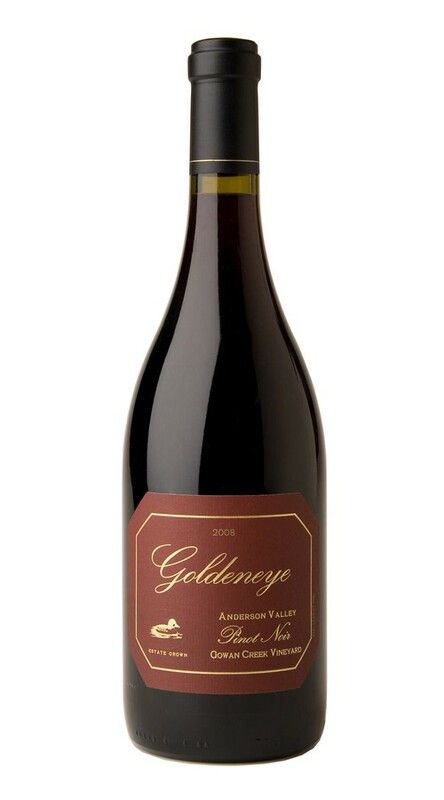 The palate is broad and complex with weighty tannins that lead to a long, concentrated finish.